Movie studios will sometimes present a special premiere screening of a film at a specific theatre or at limited theatres. In these cases, studios will sometimes release a special movie one sheet promoting the premiere. 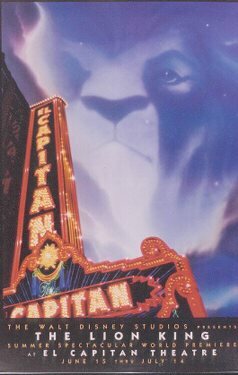 Many times, the movie poster will contain similar artwork to the regular poster, but also include the marquee or some other indicator of the place where the premiere is held. When Star Wars premiered, it was shown at four specific theatres, and only two posters for each theatre were made. These are extremely rare and very expensive.